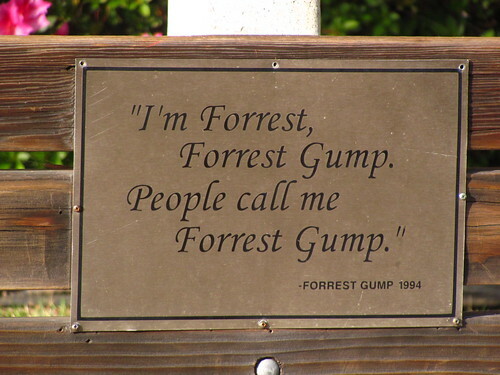 I must be the only person on Earth not to see Forrest Gump. I plan to go to my grave with that status. When it came out, I got sick of hearing all the catch phrases and it totally made me hate the movie. Too much hype, too many quotes. I DID see the Benjamin Button movie (very reluctantly, I may add). I heard this story was very similar to Forrest Gump which just strengthened my resolve not to see it. It’s probably sacrilege for me to say the above. Please don’t hate me! LOL!